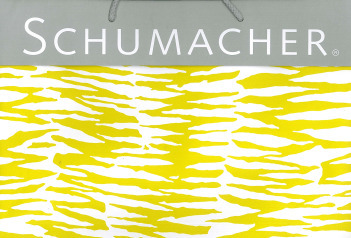 If you haven’t seen the Schumacher’s new wallcoverings collection “Nest”, it is a MUST! You have never seen something like it. “Nest” is part of the glamorous animal print patterns collection, and it is crafted entirely by hand using all natural feathers; these beautifully textured wallcoverings offer a sense of luxury and beauty that can only come from nature. Humanely gathered and arranged by hand on non-woven paper backed panels, wallcoverings in the Nest Collection have been designed in a range of richly layered patterns that feature an array of luminous shades completely derived from nature. 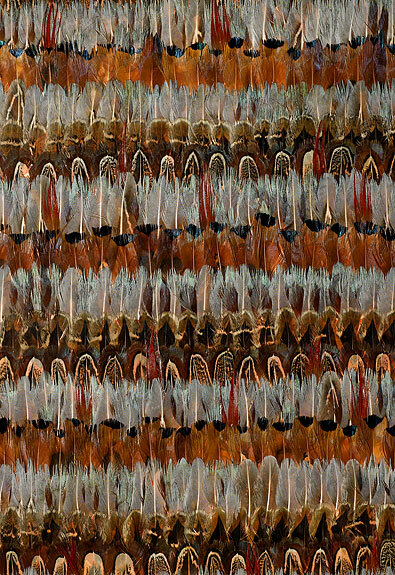 The feather collection is sold by the panel. Panel width: 38″ (97cm). Panel Height: 118″ (3m). Since 1889, F. Schumacher & Co. has brought its commitment to superb quality and superior design to interiors where only the finest products will suffice, including the White House, the Chambers of the United States Supreme Court and countless distinguished residences. A fifth generation, family-owned company, F. Schumacher & Co. is proud to be the only supplier of decorative textiles from the 19th century still privately owned and managed by direct descendants of the founder. Today, Schumacher & Co aspires to be the top-of-mind destination for discerning residential and contract interior design customer who places their emphasis on design, service, innovation and luxury.